All donations go directly towards helping animals in overcrowded and underfunded facilities or the medical attention needed to get these animals healthy and adoptable. Our sincerest thanks for any help you may be able to offer! 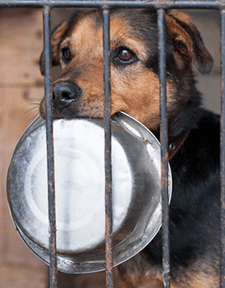 A $5 donation will buy enough food to keep one homeless pet fed for a week. Please click the donate button below to help. Just $3 will buy a vaccination for a homeless pet. Please click the donate button below to help. 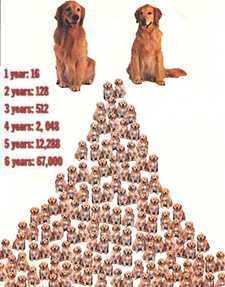 One fertile female dog and her offspring can produce over 60,000 puppies in a six year period. 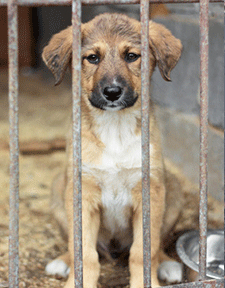 Can you spare $10 to help stop pet overpopulation?